Anne Marie Prinzessin von Sachsen was born on 4 January 1836. She was the daughter of Johann I König von Sachsen and Amalie Auguste Prinzessin von Bayern.1 She married Ferdinand IV von Österreich, Granduca di Toscana, son of Leopoldo II Erzherzog von Österreich Granduca di Toscana and Maria Antoina di Borbone, Principessa di Borbone delle Due Sicilie, on 24 November 1856. She died on 10 February 1859 at age 23. 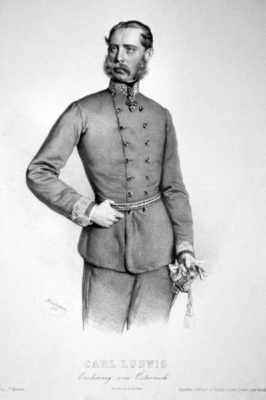 Ferdinand IV von Österreich, Granduca di Toscana was born on 10 June 1835. He was the son of Leopoldo II Erzherzog von Österreich Granduca di Toscana and Maria Antoina di Borbone, Principessa di Borbone delle Due Sicilie.2 He married, firstly, Anne Marie Prinzessin von Sachsen, daughter of Johann I König von Sachsen and Amalie Auguste Prinzessin von Bayern, on 24 November 1856. 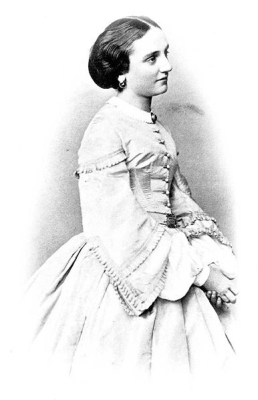 He married, secondly, Alix di Borbone, Principessa di Parma, daughter of Carlo III di Borbone, Duca di Parma and Louise Marie Thérèse de Bourbon, on 11 January 1868. He died on 17 January 1908 at age 72 at Salzburg, AustriaG. Franz IV Erzherzog von Österreich-Este was born on 6 October 1779. He was the son of Ferdinand Karl Erzherzog von Österreich and Maria Beatrice d'Este, Duchessa di Modena.1 He married Maria Beatrice di Savoia, Principessa di Savoia, daughter of Vittorio Emanuele I di Savoia, Re di Sardegna and Maria Theresia Erzherzogin von Österreich-Este, on 20 June 1812 at Cágliari, Sardinia, ItalyG. He died on 21 January 1846 at age 66. [S12] C. Arnold McNaughton, The Book of Kings, volume 1, page 354. [S12] C. Arnold McNaughton, The Book of Kings, volume 1, page 355. Sophie Marie Prinzessin von Sachsen was born on 15 March 1845. She was the daughter of Johann I König von Sachsen and Amalie Auguste Prinzessin von Bayern.1 She married Karl Theodor Herzog in Bayern, son of Maximilian Joseph Herzog in Bayern and Ludovika Wilhelmine Prinzessin von Bayern, on 11 February 1865. She died on 9 March 1867 at age 21. Albrecht Karl Prinz von Sachsen was born on 25 February 1875. He was the son of Georg I Friedrich August Georg König von Sachsen and Maria Ana de Bragança e Saxe-Coburgo-Gotha, Infanta de Portugal.1 He died on 16 September 1900 at age 25 at WolkauG. Maximillian Wilhelm August Prinz von Sachsen was born on 17 November 1870. He was the son of Georg I Friedrich August Georg König von Sachsen and Maria Ana de Bragança e Saxe-Coburgo-Gotha, Infanta de Portugal.1 He died on 12 January 1951 at age 80. He was given the name of Maximilian Wilhelm August Albert Karl Gregor Odo at birth.2 He gained the title of Prinz von Sachsen.1 He was a priest. Enrico Toselli di Montignoso, Conte di Montignoso was born on 15 March 1883. He married Luise Antoinette Maria Erzherzogin von Österreich, daughter of Ferdinand IV von Österreich, Granduca di Toscana and Alix di Borbone, Principessa di Parma, on 25 September 1907 at London, EnglandG. He and Luise Antoinette Maria Erzherzogin von Österreich were divorced in 1912.1 He died on 15 January 1926 at age 42. [S12] C. Arnold McNaughton, The Book of Kings, volume 1, page 394. [S12] C. Arnold McNaughton, The Book of Kings, volume 1, page 393. [S12] C. Arnold McNaughton, The Book of Kings, volume 1, page 382.